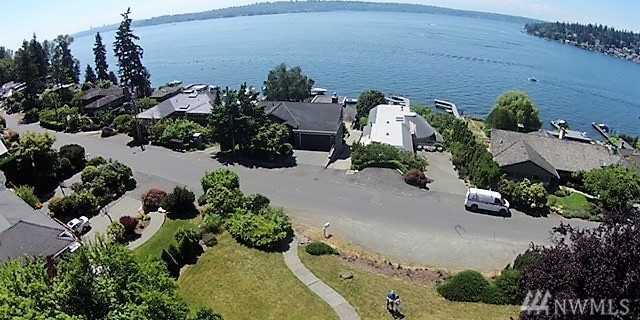 First time on the market in 31 years.Potential 3 building lots(buyer to verify)VIEW, VIEW, VIEW 180 DEGREE~Lake, mountains and Seattle~home is a tear down-value in the land~Build yourself a magnificent dream home and own about .57 of an acre in the Desirable West of Market area with a dazzling view of Lake Washington with the sun sparking off the water~stroll to about 5 parks in the area less than 1 mile away~just over a mile into downtown Kirkland. This is a one of a kind property ! Directions: Market Street to 16th West – turn left onto 16th W -go straight down to the water ( 10th St W) turn right and home is on the right hand side.